B' e eaconamaiche agus feallsanaiche poileataigeach Ostaireach a bha ann an Friedrich August von Hayek (8 an Cèitean, 1899 ann am Vienna–23 am Màrt, 1992 ann am Freiburg im Breisgau, a' Ghearmailt). Bha e na oileanach aig Oilthigh Vienna is dh'obair e san Ostair is sna Stàitean Aonaichte mus deach e na àrd-ollamh eaconamachd aig Sgoil na h-Eaconamachd Lunnainn ann an 1931. Dh'imrich e a dh'Oilthigh Chicago ann an 1950, far an do theagaisg e saidheansan sòisealta, is Oilthigh Freiburg ann an 1962. Bhuannaich e an Duais Nobel ann an Eaconomachd ann an 1974 còmhla ri Gunnar Myrdal. ↑ “Friedrich August von Hayek - Biographical”. Nobel Media AB. Air a thogail 23mh dhen Mhàrt 2018. ↑ “The Sveriges Riksbank Prize in Economic Sciences in Memory of Alfred Nobel 1974”. Nobel Media AB. Air a thogail 23mh dhen Mhàrt 2018. 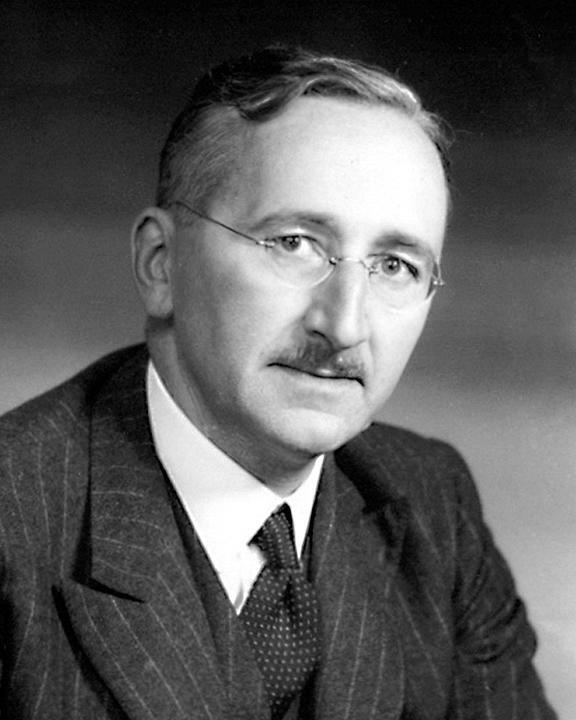 Air a tharraing à "https://gd.wikipedia.org/w/index.php?title=Friedrich_von_Hayek&oldid=541445"
Chaidh an duilleag seo a dheasachadh 23 dhen Mhàrt 2018 aig 07:57 turas mu dheireadh.